A brief foray outside of the cinema for me last week, to the London fringe to see Silence! The Musical, based on, yes, The Silence of the Lambs. This deranged comedy takes the wacky tone of Airplane! and the deeply rude song-style of South Park and blends them into a sublimely rude evening - so rude in fact that I can't really mention any of the song titles here. It's also performed with surprising skill by the up-for-it cast at the Above the Stag theatre. If you get a chance, don't miss it. Meanwhile, back in the movies, last week's press screenings included starry movies like Youth in Revolt (Michael Cera once again playing Michael Cera in a rather too-quirky romcom); Leap Year (Amy Adams turning on the charm once again in a so-so romcom); and Malice in Wonderland (Danny Dyer once again delving into the comical London crime underworld genre, this time a pastiche of Lewis Carroll's classic tale). Slightly more original was the uneven British comedy My Last Five Girlfriends, even though it had no remotely likeable characters. Which leaves Samantha Morton's directing debut The Unloved as my best film of the week - a searing, emotional tale of a young girl who is taken in to care and longs for her parents. Visually stunning, the themes are so strong that when plot kind of loses its way we don't mind too much. It was also fun to see Toy Story 2 on a big screen again - and in 3D too. This week's critical offerings include Mel Gibson's return to acting in the thriller Edge of Darkness, Paul Bettany in Legion, Robert Carlyle in A Boy Called Dad, Rupert Grint in Cherrybomb, Sean Bean in Black Death, David Baddiel's Muslim-Jewish comedy The Infidel, and Tilda Swinton in the Italian drama I Am Love. Last week's big movie was yet another post-apocalyptic thriller, with the late press screening of The Book of Eli, although at least this time there weren't any zombies or vampires. But it was strange to see that Denzel Washington gravitas in what is essentially The Road Lite. The other biggie was the Harrison Ford-Brendan Fraser Extraordinary Measures, based on the true story of an extraordinarily tenacious father. And the week's other films continued this mixed-bag theme: the Michael Chabon adaptation The Mysteries of Pittsburgh is disappointingly unengaging; the goofy British indie Beyond the Pole has a rather harsh sting in its tale; the involving documentary Crude is a bit too full of outrageous information; the fascinating festival-darling Argentine drama The Headless Woman is too obtuse for its own good; the enjoyable Dr Feelgood doc Oil City Confidential is mainly aimed at fans. So the best film of the week turned out to be the French drama L'Affaire Farewell, the true story of the two family men who inadvertently ended the Cold War by siphoning Russian secrets to Mitterrand and Reagan. This week's offerings include Miguel Arteta's Youth in Revolt, Amy Adams in Leap Year, Samantha Morton's The Unloved, and the one I'm really looking forward to: Toy Story 2 in 3D. 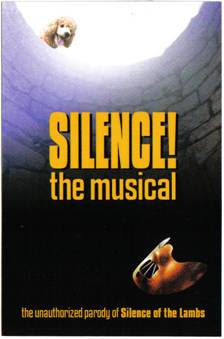 I'll also see a stage musical called Silence! It's based on The Silence of the Lambs. I'm scared. Yes, there were more post-apocalyptic vampires in cinemas last week, and critics had to wait until just two days before Daybreakers opened for the first press screening. Surprise, it wasn't half bad - a decent guilty pleasure complete with enjoyable performances from Ethan Hawke and Willem Dafoe. Alas, it wasn't such a great week for Sandra Bullock, who after the wild success of The Proposal and The Blind Side gave us the resolutely unfunny comedy All About Steve. Can't win 'em all. Also last week I had screenings of the extremely uneven British drama Freestyle, about innercity basketball tricksters; the even more uneven British thriller Tony, about a loner who kills people; the shamelessly crowd-pleasing British doc Only When I Dance, a compelling story about two aspiring ballet dancers from the favelas outside Rio; and the award-winning Aussie drama Samson & Delilah, a fiercely cleverly almost-wordless Aboriginal romance. This coming week is just as busy as London critics shuffle through the snow to see late screenings of the imminent The Book of Eli, with Denzel Washington in yet more post-apocalyptic action; the Harrison Ford drama Extraordinary Measures; the Ecuador vs Big Oil doc Crude; the British doc Oil City Confidential, which isn't about oil at all (it's about the 1970s band Dr Feelgood); the British indies The Infidel and Beyond the Pole, which both have some comical influences; and the reportedly difficult/brilliant Argentine film The Headless Woman. Full top 10 lists in every category, plus several other rather unusual awards are at the website! 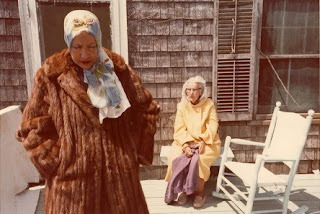 The highlight of my holiday movie-watching schedule was finally catching up with Grey Gardens - both the Maysles' astounding 1975 documentary and the 2009 tele-movie starring Drew Barrymore and Jessica Lange as recluses living in the Hamptons. Both films are utterly gorgeous, but the masterpiece is the doc, of course. Meanwhile, I also watched a bizarrely eclectic collection of year-end movies ranging from the harrowing (Shohreh Agdashloo in the Iranian drama The Stoning of Soraya M.) to the ridiculous (the corny comedy Post Grad), the vacuous (Ashton Kutcher in David Mackenzie's Spread) to the glamorous (the fashion doc Valentino: The Last Emperor). Highlights were Michelle Monaghan's warmly edgy performance in the straightforward drama Trucker and the far-from-mainstream Romanian cop drama Police, Adjective. I also thoroughly enjoyed Robert Siegel's Big Fan, featuring a fantastic turn from Patton Oswalt; the slow-burning Japanese drama Still Walking; and the digital restoration of the 1949 horror classic The Queen of Spades. And I revisited two favourites from last year: Up in the Air and Avatar, both of which I could happily watch yet again. This week sees the next in the hopefully dwindling vampire genre, the Spierig Brothers' Daybreakers; the British sports drama Freestyle; and the Aussie award-winner Samson & Delilah.